Need to animate while editing your story? Alex4D Animation Transitions is a pack of Final Cut Pro X transitions you can use to easily animate graphics, text and clips onto and off the screen. Add instant character to logos, text, graphic elements and even video clips by springing, bouncing, sliding and skidding them onto and off the screen. Try before you buy using the free FxFactory post-production app store application. Alex4D Animation Transitions comes with 120 plugins. Transitions range from subtle and straightforward presets for editors who want quick results to complex and fully-customisable presets for designers who want instant advanced motion graphics in the Final Cut Pro X timeline. 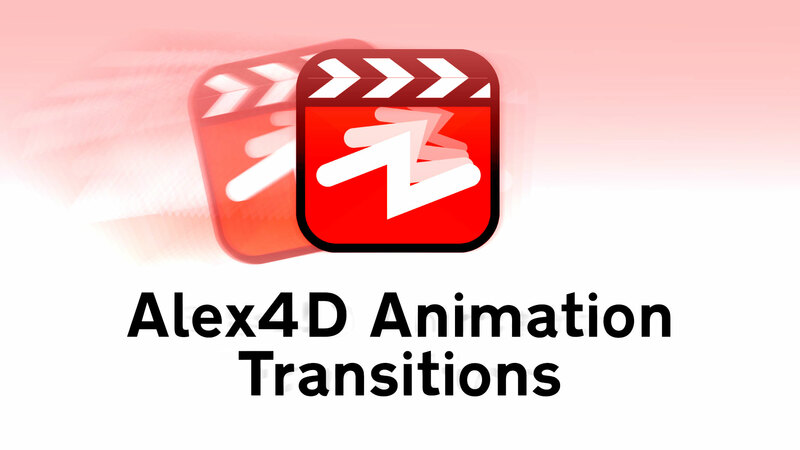 A fully-functional trial version of Alex4D Animation Transitions is available through the FxFactory post-production app store. The trial version includes all 120 transitions and a 32 page PDF manual. Trial version transitions include a watermark. To remove the watermark, click the Buy button in Final Cut Pro, or in the FxFactory application, click the price button next to the Animation Transitions icon in the Alex4D section of the catalog. If you have entered your credit card and billing information, a dialogue box will appear to confirm your purchase. For more information on activating Alex4D Animation Transitions, visit the FxFactory website. Double-click one of 120 Alex4D Animation transitions. Or drag an Alex4D Animation transition to the connected clip of your choice. If the connected clip isn’t already part of a storyline, this method will put the connected clip into its own storyline, adding the transition to the start and finish of the clip. If you want to use the transition to animate a connected clip off the screen, open the inspector, select the transition at the end of the clip and change its Kind to Out. As these plugins are transitions, you can quickly change their duration and timing by dragging in the timeline. You can quickly customise the animation using on-screen controls with a few clicks of your mouse. Want to have a play with these transitions? OS X Yosemite 10.10.4 or later. Final Cut Pro X 10.2.2 or later. Alex4D Animation Transitions does not work with earlier versions of Final Cut Pro (5, 6 or 7), or any other video editing application. Thank you to Matt Andrews, Matt Davis and Suzanne Cohen for elements of the promotional video. Some footage provided by Editstock.com. 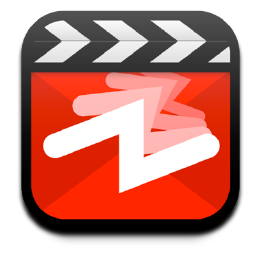 Editstock has raw footage for schools and individuals to practice editing with.